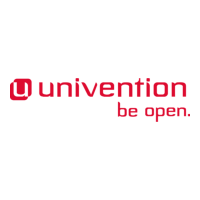 Univention have just developed and released a single sign-on solution for logging on to different important web services like Dropbox or Google Apps. It is called SAML (Security Assertion Markup Language) and is available via the Univention App Center. The application offers users not only this single sign-on feature but also the possibility of releasing specific services by the administrator as well as centrally managing passwords. In addition, the passwords are securely stored internally in the company’s own IT infrastructure as was previously done externally by the Internet service provider.